I just came across the most amazing bookcase storage beds for sale! I had seen beds with drawers before, of course, but I had never seen bookcase beds! Not only do they have roomy drawers on them, they also have a bookshelf! They are perfect for compact bedrooms, as they are a huge space saver! 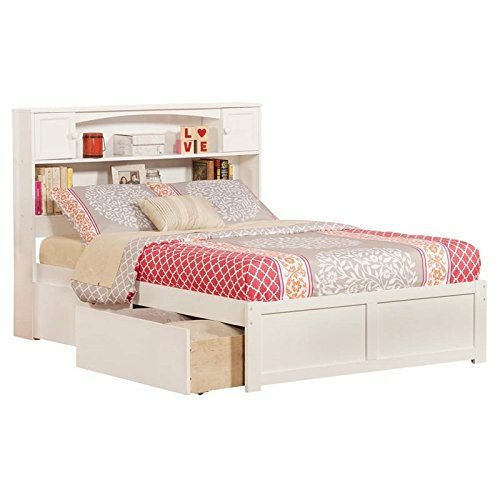 *The gorgeous white color bookcase bed above has two spacious storage drawers, 2 shelves, and 2 compartments. I am definitely considering getting one for myself now since I have a very small bedroom full of stuff! They can be found in all sizes, from twin to king size! I fell in love with the big and tall ones! Can you imagine having this gorgeous rich cappuccino color king size bookcase bed in your bedroom? You would think a bed like this would be extremely expensive and almost impossible to buy, right? Even though it is not a cheap bed, it is definitely doable! It is the perfect solution for small bedrooms! Will make your room seem way bigger and 100% organized! This is a very fancy looking cappuccino color wood storage day bed for sale. It includes everything you see on the picture! It is perfect to have in your home office, teenage bedroom or guest bedroom! The two drawers are nice and spacious! Gorgeous Bookcase Wooden Beds for Sale! Can a bed get any more functional than this? This classic bookcase platform storage bed is perfect for a guest bedroom, child’s bedroom or the home office! It has a lot of storage space for books, figurines, toys, clocks, picture frames or whatever you want! I love this rich merlot brown color too! It’s very classy and goes well with anything! I would love to have a bed just like this one in my bedroom! Perfect to create a beautiful and cozy cottage-style bedroom! Gorgeous Full Size Bookcase Bed with 12 Drawers in a Beautiful Honey Finish! Best Bookcase Storage Beds for Small Bedrooms! I just found one of my favorite bookcase beds for sale! It is a full-size bookcase bed with lots of drawers! Look at this gorgeous honey color! You can have all your favorite books in there! This bed is perfect for a small bedroom. It’s made from solid wood and it is delightful! So far this one is a winner for me! 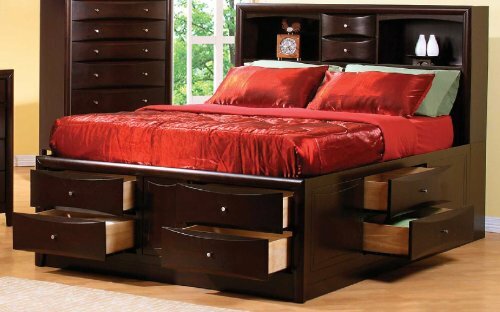 Beautiful Full-Size Tall Bookcase Platform Storage Bed in Espresso Color! 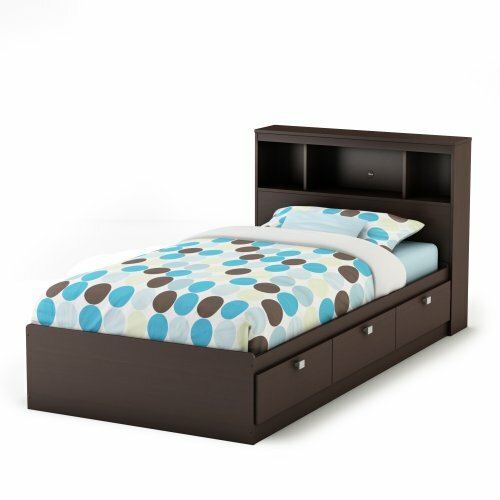 This is a beautiful dark chocolate bookcase storage bed in full size! I love the cool design of the bookcase headboard! 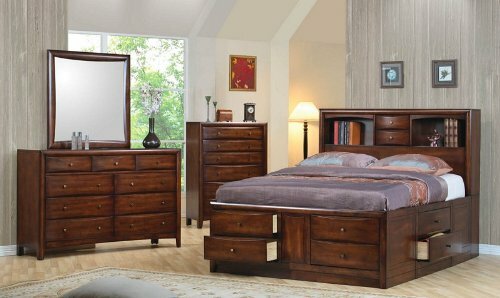 This is a stunning very stylish cappuccino color queen size bookcase chest storage bed with smooth drawers! It is also very tall after assembled. The drawers are also very spacious and very smooth to pull. It’s very practical and very beautiful! Perfect bed to organize and keep any bedroom nice and clean! 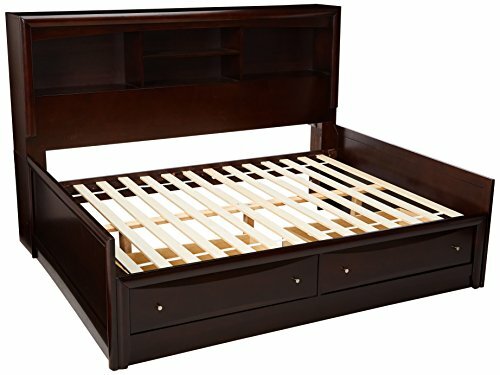 *Cheap Twin Size Storage Bed and Bookcase Headboard in a Beautiful Chocolate Color! This is one of the cheapest twin-sized bookcase storage beds with headboard I found! First of all it is very stylish! I love this gorgeous chocolate color! 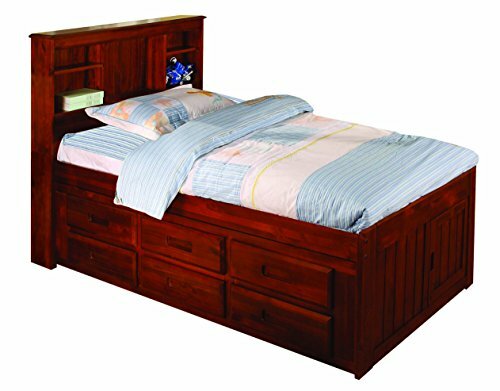 It has three very spacious drawers and three roomy compartments on the headboard for your favorite books! 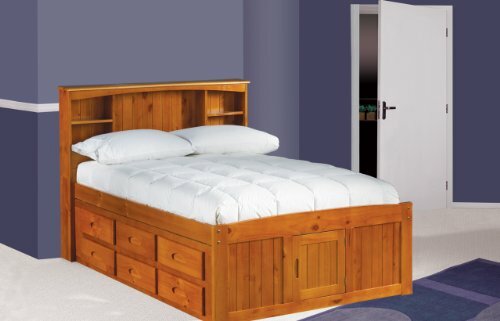 This beautiful bed is very solid and perfect for for a teenager’s bedroom! *Assembly will take approximately two hours. Better if done by two people. *I hope you liked these bookcase storage beds! Cool Loft Beds with Desk Underneath!